There’s always something every man and woman need to have in their closet for the upcoming season. Especially for the average college student, it’s helpful for your budget to have a staple piece that can be worked into a variety of outfits. For spring, the pieces are simply a maxi skirt for women and a pair of shoes for men. 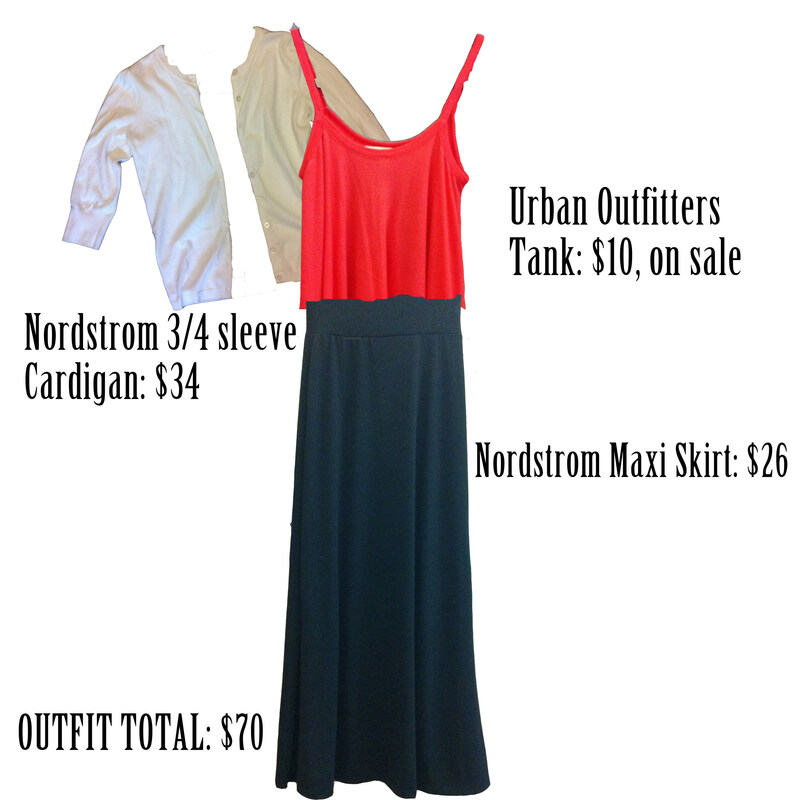 Throw on a sweater with a maxi for a simple and comfortable outfit. Cal Poly Resident Advisor Stephanie Hubbert believes the long skirt is a staple. Maxi-skirts are incredibly easy to work into outfits and are extremely comfortable, so it’s perfect for a day in while walking to class, or a night out while getting dinner with friends. However, remember to balance an outfit that includes a maxi skirt. Skirts that hit the floor are perfect when paired with a fitted top or with a somewhat loose (but not too loose!) fitted top, tucked in and cinched with a belt. For more form-fitting skirts, try looser tops. Outfits with maxis can be pulled off effortlessly, so don’t try too hard trying to decide what to wear on top because anything will work. If a maxi skirt seems like too much, try a high to low skirt like this one from Forever 21. Girls have a lot of clothes, so here’s just one more item to add into the spring closets: bright platforms. Callie Gisler, author of Coffee and Cardigans, can’t live without a pair of them this spring. She recommends these mustard Lauren Conrad wedges. As simple as it may seem, men should invest in a pair of good quality shoes for the spring. “Although my favorites are Sperry’s, I say buy any shoes that you will have for a long time that you can wear on many occasions. A good pair of shoes tells me you care about your appearance. Ask mom or a good friend – they will usually know,” Hubbert said. For University of Nevada, Reno freshman Kevin Cleary, Sperry’s are his go-to shoes. “I can pop those bad boys on any day because they’re classy,” Cleary said. Shoes not only bring an outfit together, but they make an outfit, so choose carefully. As college students, Vans is always a good choice because they’re clean, classic and affordable. In general, choose a pair of good quality shoes that will be able to go with any outfit. Adding these staple pieces to a wardrobe will make spring just a little bit more brighter. I love the maxi dress for spring! Longer hemlines are so classic – and pairing it with those bright mustard wedges is definitely on my to-do list. I’ve seen Sperry’s worn quite often, but haven’t tried them myself. Maybe I’ll have to invest in a pair for the warmer weather! Loved reading this, Leila!